Universities, high schools, middle schools, and other educational institutions are finding that effectively communicating with students, staff and employees is key to operational efficiency. Bringing digital signage technology to education institutions not only bridges all communication gaps but provides students with the digital venues that they best respond to. Empire Digital Signs provides the hardware and software that allows you to access and update every sign from a remote location, regardless of the size of the campus. This flexibility and ease of use provides campus marketing teams the ability to target and schedule their content based on time of day, day of the week or specific season. Many high schools are running out of space for their student, alumni, and staff recognition plaques. Empire Digital Signs specializes in transforming your outdated plaques into beautiful touchscreen systems that users can scroll through to find their own picture or a friend or colleague’s – along with a description of their achievement and even videos of their induction or performances. Now, schools can save years of awards and highlight outstanding achievements without physically running out of space or feeling like they’re behind the times. College campuses especially are constantly flooded with students, parents, alumni and visitors that quite possibly don’t know their way around. Traditional maps tend to be time-consuming and costly to update, which is inefficient for a facility that is ever-evolving. With a simple floor plan, Empire Digital Signs can design a gorgeous 2D or 3D digital rendering of your campus. This is then deployed to an interactive display (indoor or outdoor) for those on your campus to utilize and enjoy. Click here for more information on wayfinding. The perfect addition to any department! Ditch the cork board & paper waste and save your team some time with a digital bulletin board. Our software makes it easy for you to schedule start and end dates/times and not only eliminate outdated flyers and content, but also reduce paper usage and eliminate the need to physically post things to every location. With unlimited zones, use as many areas as you need and even transition between screens to maximize space! This also gives you the option to allow students to submit their flyers and ads for approval before going out to the student body. Digital room signs are important when it comes to lectures, meetings, office hours, etc. 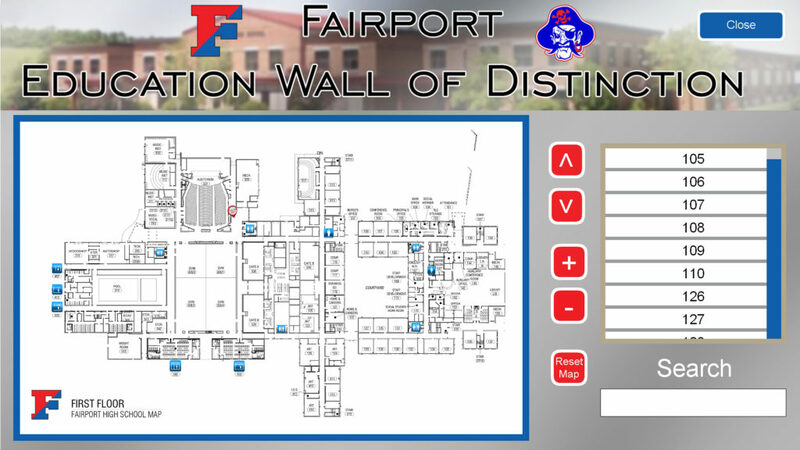 Let students or fellow colleagues know when a meeting or class is being held in any specific room with a sleek screen outside the doorway. With the ability to tie directly into your room reservation software (Our cloud-based software allows you to feed in live information directly from an already existing scheduling app such as Office 365, Crestron, Delphi or AMX), this allows for a fluid transition between meetings, classes, or teacher/professor office hours without interruption. Students and faculty can even check room availability and book a room right at the sign. 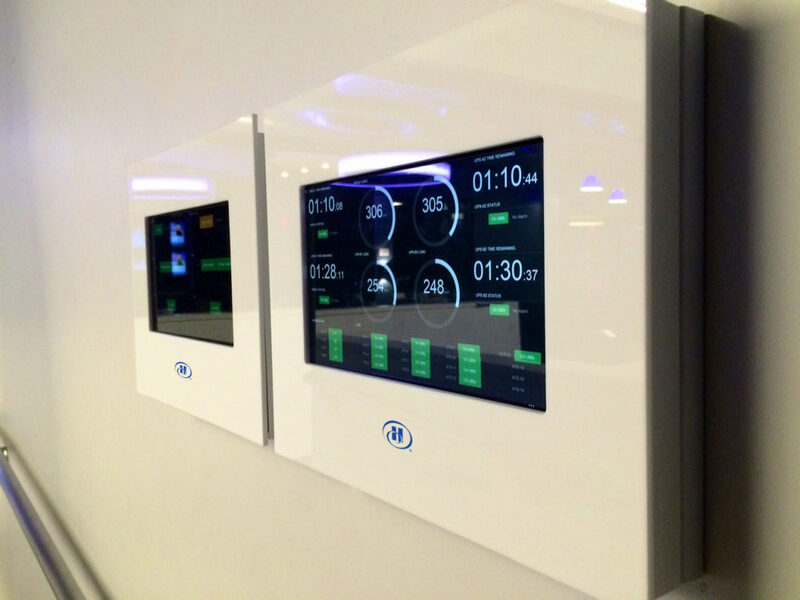 Upgrade your current menu system to digital and enjoy all the benefits of digital signage software. No more crossing out items that have sold out. Instead, you can simply update from any computer (even your tablet or smartphone)! Schedule automatic transitions between menus based on the time of day, day of the week, month, or year: perfect for college dining halls that have stations and serve something new each day. The Brick City Café is a spacious dining facility located in the Student Alumni Building of RIT and is one of the most popular dining facilities on campus. This dining hall offers breakfast, lunch and snacks for RIT’s students, alumni and visitors. Featured entrees at the grill stations change from week to week and even day to day. Not to mention the major switch over from breakfast to lunch every day. Sounds like a lot of work, right? While we can’t say much for the chefs, we know BCC’s supervisor has little to no work to do on the menu boards. Every week once the menu is decided, he updates the signs using our scheduling feature. He can schedule “Omelet Station” to switch over to “Slow Roasted Turkey” at 10:50 on Monday and continue to schedule out the week. The content will switch over automatically at that specific time, saving the BCC employees the hassle of updating signs every day when they have hungry mouths to feed. Any facility, large or small can benefit from an interactive kiosk, but college campuses and educational buildings in particular are an excellent candidate. The flow of information – in educational departments alone – can be overwhelming. Allow an interactive kiosk to effectively organize and promote your messaging. Empire Digital Signs’ interactive kiosks are capable of just about any function including wayfinding, calendars, live RSS and social media feeds, sign up forms and directories – to name a few. 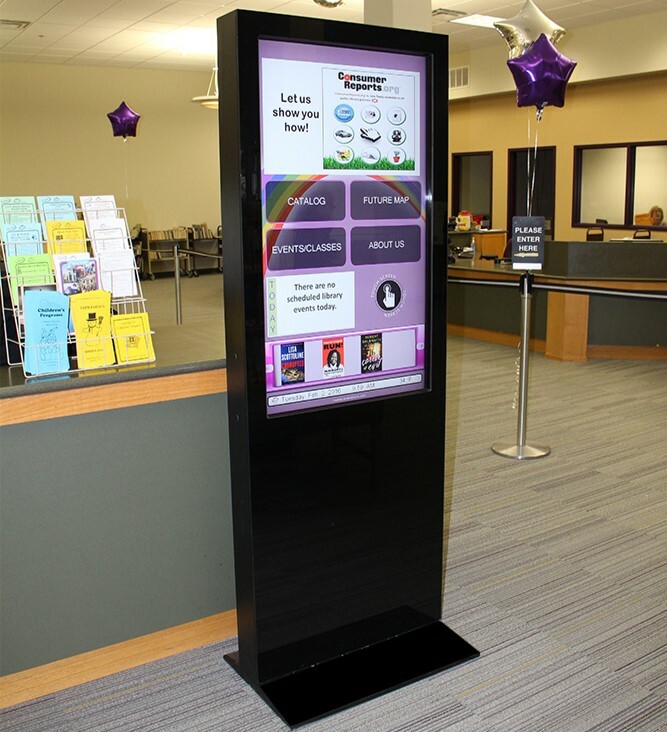 Contact us today and design an interactive kiosk that serves all your campus’s needs. When it comes to the great outdoors, don’t rule out digital signage and interactive systems. 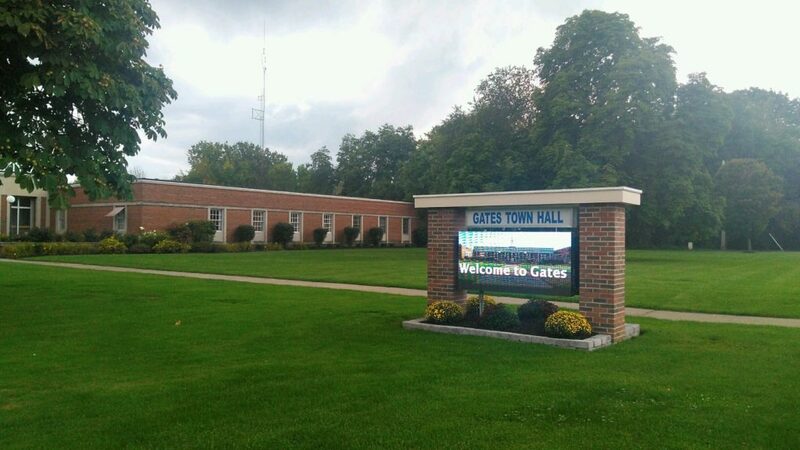 With outdoor rated LEDs, screens, and interactive kiosks, you can display information before anyone even gets out of their car or walks through your door. Find more information on outdoor solutions here.